Whether you’re a new home buyer looking for a low down payment, or you’re a homeowner who wishes to secure today’s low interest rates, there are a number of refinancing and purchase loan options available. Find the best home loan that meets your needs by comparing the mortgage options available at Maximum Lending. The most common type of home loan is the fixed-rate mortgage loan. The interest rate as well as the monthly payment remains the same for the entire duration of the loan. There are two options when selecting a fixed-rate mortgage: a 30-year term or a 15-year term. With a 30-year term you’ll be afforded lower monthly payments; whereas with a 15-year term you’ll pay less total interest over the life of the loan. 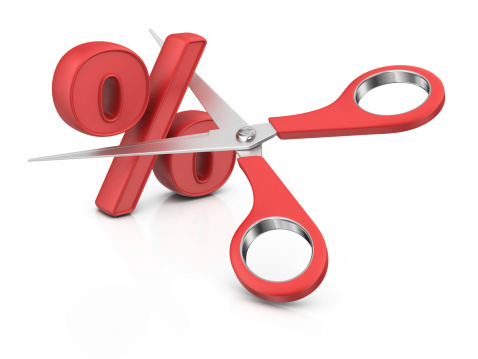 Fixed-rate mortgages make budgeting easier. An adjustable-rate mortgage, or ARM as it is commonly referred to, is a type of mortgage in which the interest rate applied on the outstanding balance varies throughout the life of the loan. With an ARM, the initial interest is fixed for a period of time, after which it adjusts periodically based on a pre-selected index. An ARM is often advantageous in that it allows homebuyers to afford a more expensive house because of the initially low interest rates. FHA Loans are federally insured loans that offer financing to people who may struggle to qualify for traditional loans. The Federal Housing Administration (FHA) insures the loan. Your down payment can be as low as 3.5% of the purchase price with an FHA Loan. Flexible terms and low closing costs make this loan especially appealing to first-time homebuyers. The costs of energy improvements can also be included in an FHA Energy-Efficient Mortgage. Eligible properties include 1-4 units. Active duty military personnel, veterans, and eligible surviving spouses can qualify to become homeowners through a special type of home loan that is federally insured by the United States Department of Veterans Affairs. The benefits of VA Loans include: little-or-no money down, no Private Mortgage Insurance (PMI), competitive interest rates, easy loan qualification process, no penalties for prepaying the mortgage, and sellers can pay all closing costs. Make your home improvement dreams a reality with one of our financing options. Our Home Improvement Loans allow your mortgage balance to exceed the purchase price or appraised value of the home allowing you to finance necessary of optional home improvements, small weekend projects, or a large renovation. Narrow down your refinancing and purchasing Home Improvement Loan options by contacting Maximum Lending today at (949) 342-0610. A Jumbo Loan is a home loan for an amount that exceeds conforming loan limits (currently set at $417,000). A jumbo loan provides borrowers with a way to finance high-priced or luxury homes. Jumbo Loans are available for primary residences, second or vacation homes, and investment properties. Fixed-rate and adjustable-rate mortgage loans exist for Jumbo Loans. If you’re looking to purchase a higher-priced home, a Jumbo Loan may be the best option for you. If you own your home, and are at least 62 years of age, you may be eligible for a Reverse Mortgage. A Reverse Mortgage affords you the opportunity to covert the equity in your home to monthly income or a line of credit without incurring additional monthly charges. You are; however, still responsible for paying property taxes, homeowner’s insurance, and homeowner’s association dues (if applicable). A Reverse Mortgage can also be used to purchase your retirement home. The Home Affordable Refinance Program, termed HARP, is a federally insured program that enables borrowers with little to no equity to refinance into more affordable mortgages without new or additional mortgage insurance. HARP specifically targets homeowners with a loan-to-value ratio equal to or greater than 80 percent. Homeowners with limited deliquesces over the past 12 months prior to refinancing may also be eligible. This allows them to take advantage of today’s low interest rates. *This information has been compiled from several different resources including HUD.gov and Harp.gov. For more information on any of the above loan options, please contact Maximum Lending at (949) 342-0610, or info@maximumlending.com. You can also use our easy-to-use form to Get a Free Quote.